For many modern businesses, environmental consulting is simply another bureaucratic hoop that they have to jump through before they can move ahead with their activities. However, there is a very good reason why environmental site assessments are such a central part of your environmental compliance requirements. This week, we take a look at three horrifying instances of heavy metal contamination, which have helped to shape the legal environmental framework we use today. Between 1932 and 1968, the Chisso Corporation manufactured acetaldehyde at it’s chemical factory in Minamata. Mercury was a waste product of this manufacturing process and the company released the wastewater into Minamata Bay, where it accumulated in sea creatures such as fish and shellfish, which was a staple in the diet of Minamata’s citizens. By the early 1950s citizens began to talk of ‘cat dancing disease’ which referred to the erratic movement of local cats which turned out to be in the final stages of mercury poisoning, other environmental anomalies were also noted, such as crows falling from the sky, dead fish floating in the bay, a decline in fishing catches, and the absence of seaweed growth on the sea beds. In 1956, residents began reporting symptoms of sensation loss and numbness in their hands and feet, loss of fine motor control, stumbling, sight and hearing problems, difficulty swallowing, convulsions and coma. These symptoms were eventually found to be a result of heavy metal poisoning which was eventually traced back to the Chisso Corporation. The pollution eventually spread throughout the Shiranui Sea, affecting some 2,265 victims, 1,784 of which died. The Chisso Corporation has paid compensation to over 10,000 people. The remediation process, which involved removing the toxic sludge polluting Minamata Bay, took over ten years and was only completed in 1990. In 1986, a fire at the Sandoz agrochemical storehouse in Switzerland resulted in the release of toxic agrochemicals into the air and tons of pollutants being dumped into the Rhine river, turning the waters a terrifying shade of blood red. 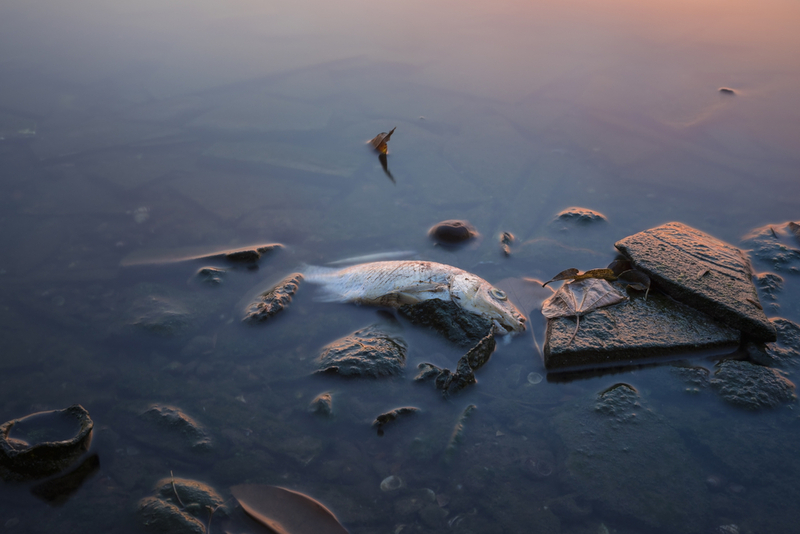 It is estimated that over 20 tonnes of toxic pesticides including mercury flowed into the river and travelled more than 400km downstream, killing around half a million fish and virtually wiping out the river’s European eel population. Perhaps the most famous example of heavy metal contamination in the world. The Hinckley incident was immortalised in the 2000 film Erin Brockovich. Between 1952 and 1966, Pacific Gas and Electric used hexavalent chromium to prevent corrosion in a cooling tower system. The water from this system was discharged into unlined ponds, ultimately contaminating the groundwater and affecting a 3.2 by 1.6km zone near the plant. Once it entered the drinking water supply, the hexavalent chromium made scores of residents in the area sick and increased the instances of breast cancer, Hodgkin’s disease, miscarriages, kidney and ovarian tumours, and lung, brain, and gastrointestinal cancers in the community. Remediation for the groundwater contamination was ongoing in 2013 and has so far cost PG&E over US$750 million.